One of my favorite wineries! Located in Paso Robles California, famous for their Zins, Cabs, Pinots and Chards. 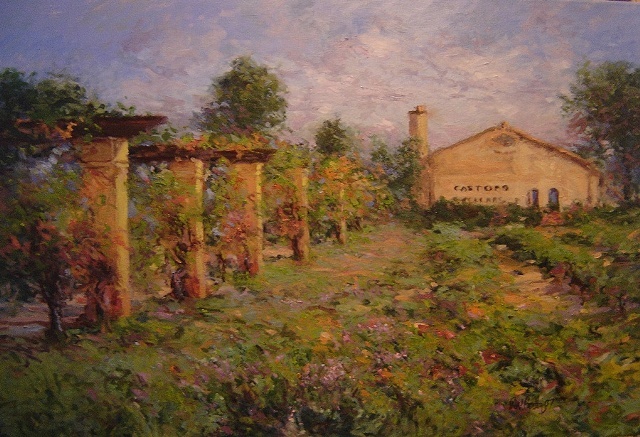 This place was an easy target, the greens of the vineyard, the ochres and rusts of the trellis and buildings and the wild flowers growing in between the vine rows. The one has won First Place in oil and Best of Show at the open show in Porterville Ca.